In 1887, legendary distiller Colonel Edmund Haynes Taylor, Jr. bought this plot of land nestled in idyllic Millville, Kentucky. He built a destination – characterized by unique architecture, European gardens, and a one-of-a-kind springhouse overlooking the peaceful Glenns Creek and the steeply wooded hillside that feeds it. 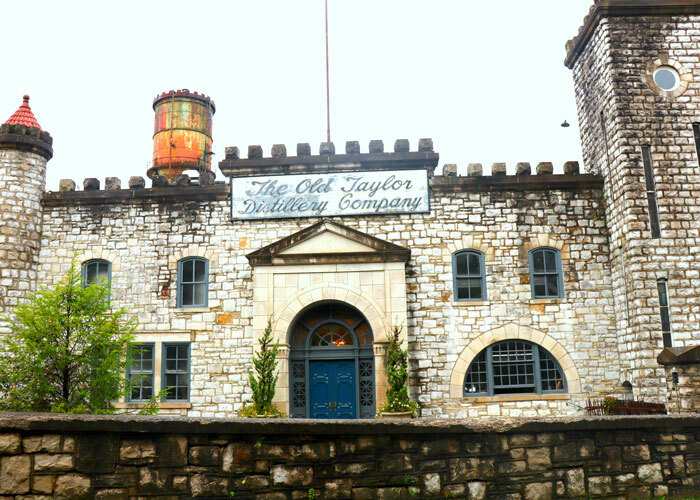 In combination with his bourbon production, the Old Taylor Distillery was groundbreaking. Bourbon tourism was born here. © 2019 "Pop-Up" Weddings - KIS | Designed by Social By Design.